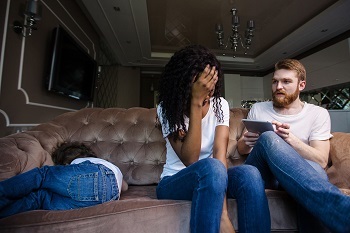 If your spouse is exhibiting certain types of behavior, it may be a clue that your spouse is going to file for divorce. Here are some of the most telling signs that you need to meet with a divorce attorney as soon as possible. Changes to your financial situation—whether that's moving around assets, selling property or large financial withdrawals/purchases—may be a sign that your spouse is thinking about the single life. Financial changes aren’t the only signs that your spouse may be thinking about divorce; changes in habits and withdrawal from you can also be signs the marriage is coming to an end. Withdrawal from you doesn’t mean withdrawal from the world in general. In fact, a recent study revealed that frequent Twitter use leads to cheating and divorce. Look for these signals of withdrawal. Using hobbies as a distraction to avoid dealing with you, such as playing video games on the phone: this is especially useful for cheating spouses as they can interact with the other man/woman while ostensibly innocently playing a game. Sometimes, when a person is thinking about divorce and is afraid of losing custody of children, his/her habits toward the children may change dramatically. If your spouse suddenly begins one of these behaviors without any discussion with you about it then turn a critical eye to your relationship and consider why this is occurring. All of the signs listed above do not mean that your spouse is absolutely preparing to file for divorce. However, they may be clues that your spouse is thinking about divorce. If you suspect that your spouse is considering divorce, and you’re worried about what might happen, you should consult with the attorneys at the Law Offices of Molly B. Kenny. Our attorneys can explain to you how the divorce process works, and what you need to know about the division of assets and child custody. To learn more, contact us today at 425-460-0550.